AUSXIP: Yes indeed and Xena was ahead of her time! This opening theme just gets to me...seriously. I've been in this fandom for 19 years and it still gets to me. Well this a very 'well duh' moment :) Yes indeed. And long before it was fashionable to boot. 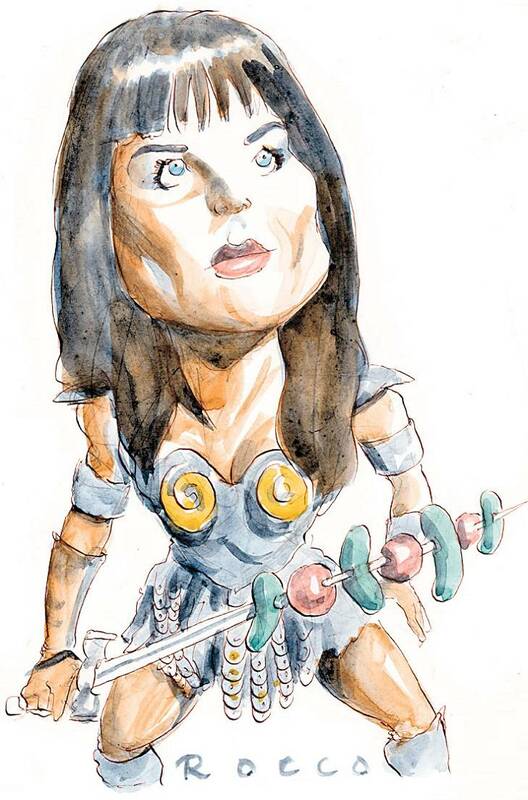 Xena's real-life alter-ego, Lucy Lawless, said as much in an interview conducted after the series wrapped. Think about it. Two women who travelled everywhere together, took baths together, shared the same bed and, when the occasion required, worked their uvula's into a frenzy. It's enough to give you a case of the vapours. Long before on-screen couples like Captain Jack and Ianto Jones (from Torchwood) could declare their love explicitly, Xena and Gabrielle just bathed wordlessly together. A lot. Yeah baby they were a couple - well and truly. Indeed she was and how! 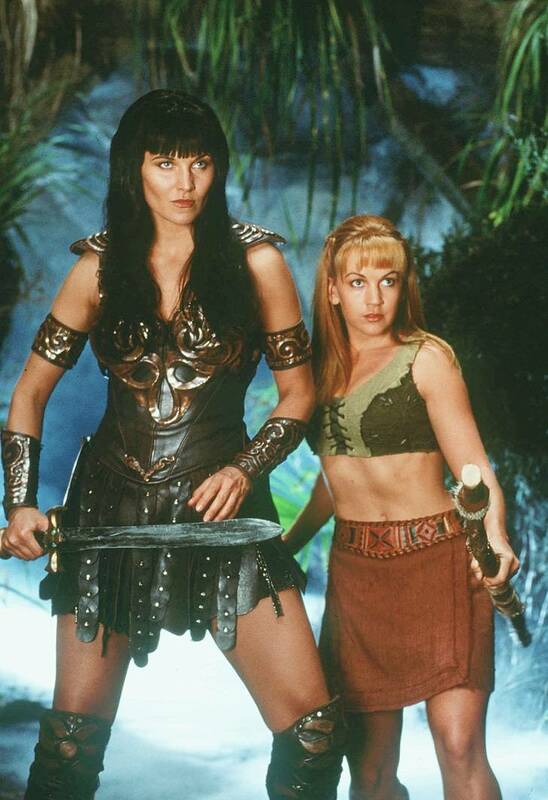 She matured, she grew out of being a sidekick and became Xena's equal. It was a rocky road but she got there. Awesome! Okay, so, there was that time at the Mardi Gras, right? You remember. Well, probably you don't, because you weren't there. But there was that time at the Mardi Gras, the year that Lucy Lawless (Xena) and Renee O'Connor (Gabrielle) came, that we (myself, and a colleague) were tasked, unexpectedly, with chaperoning them. You read that right: two little Aussie blokes, the only thing between Xena and Gabrielle and tens of thousands of lesbians. It's a small miracle we weren't killed. But the takeout is this: I've met a lot of celebrities in my time, and Lawless was a big, bronze-bustier of lovely.